1. 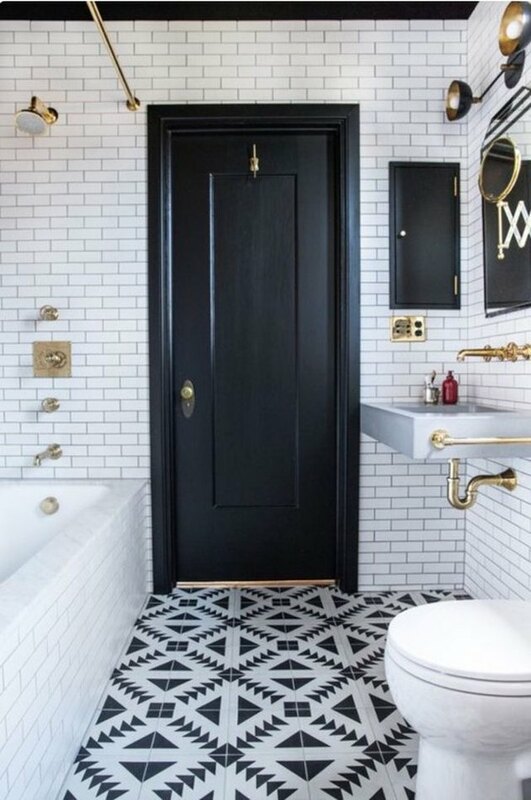 This bathroom with black and white printed tiles. We love printed bathroom tiles that create a pattern. If you're feeling anxious over installing statement flooring, just go for black and white colors to tone it down. Tiling your bathroom floor can also be a DIY project, if you're looking to save money. 2. This painted black grand staircase. 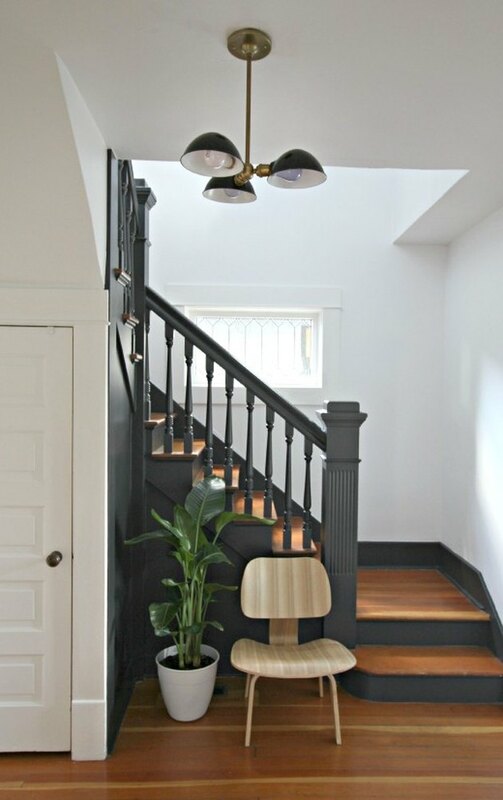 This staircase contrasts beautifully with the white walls and ceilings surrounding it. 3. This posh dining room. 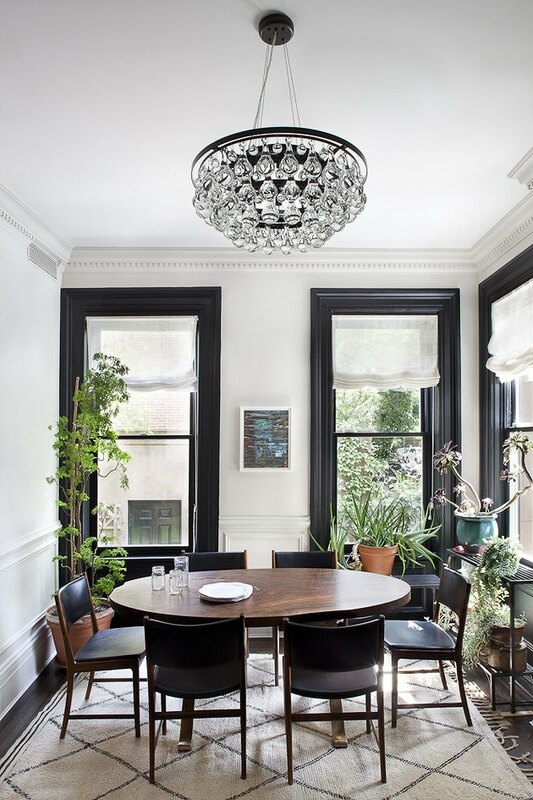 This black and white dining room doesn't come across as cold because of its warm wood accents and leafy green plants. 4. This expertly tiled shower. 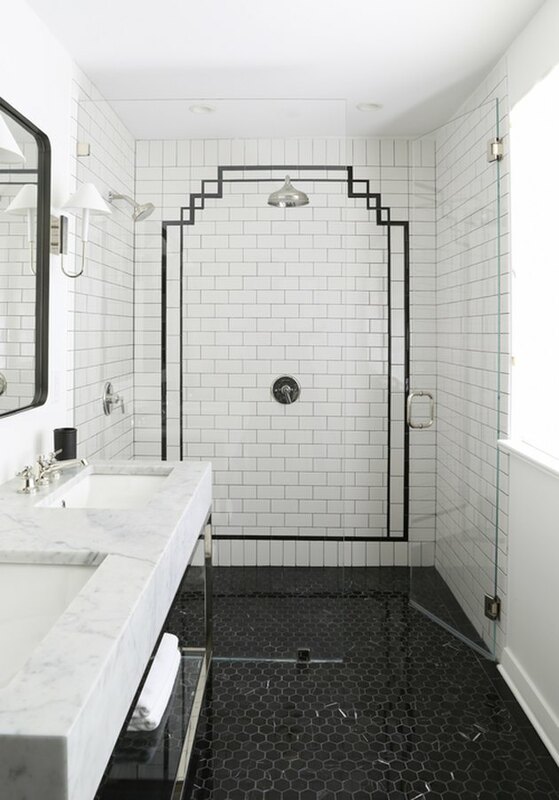 How stunning is this Art Deco-style shower? 5. This fun black and white printed wallpaper in a bathroom. 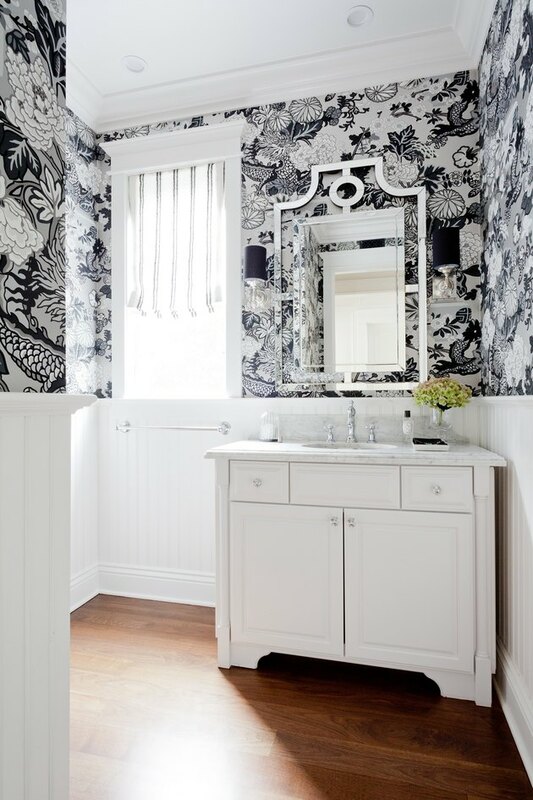 Ensure your black and white look doesn't come across as boring by incorporating some bold wallpaper. 6. These double doors and a staircase that match. When you're going with a black and white theme, there's nothing wrong with being matchy-matchy. In fact, it's key. 7. This two-tone bathroom with pretty, white wainscoting. 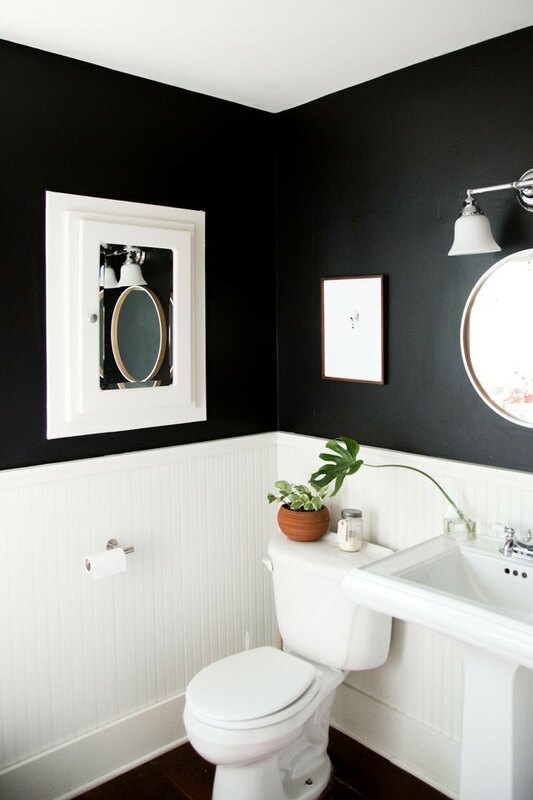 The differing textures and colors on these bathroom walls are classy and beautiful. 8. These black window frames. 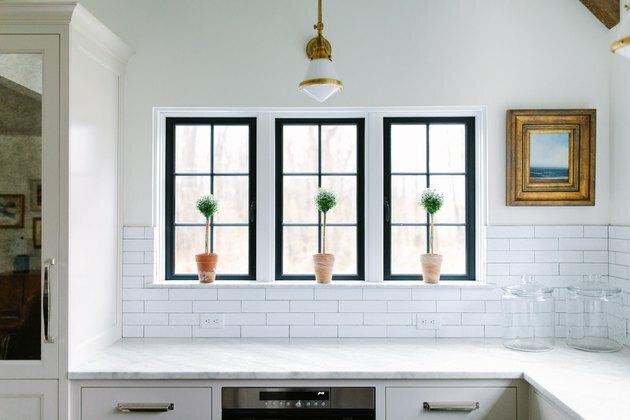 Black trimmed window frames are such a stunning pop in a white kitchen. 9. 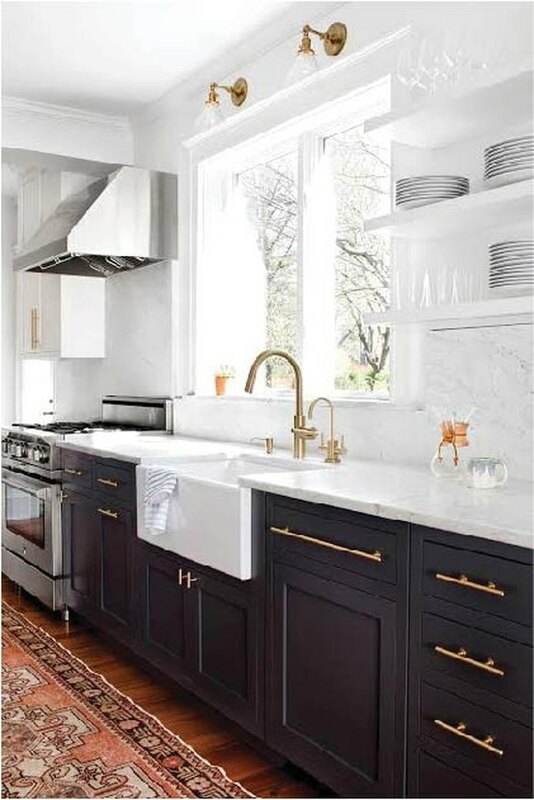 These black kitchen cabinets. This kitchen is perfectly two-tone: The lower cabinets are black and the countertops, backsplash, and open shelving are white. 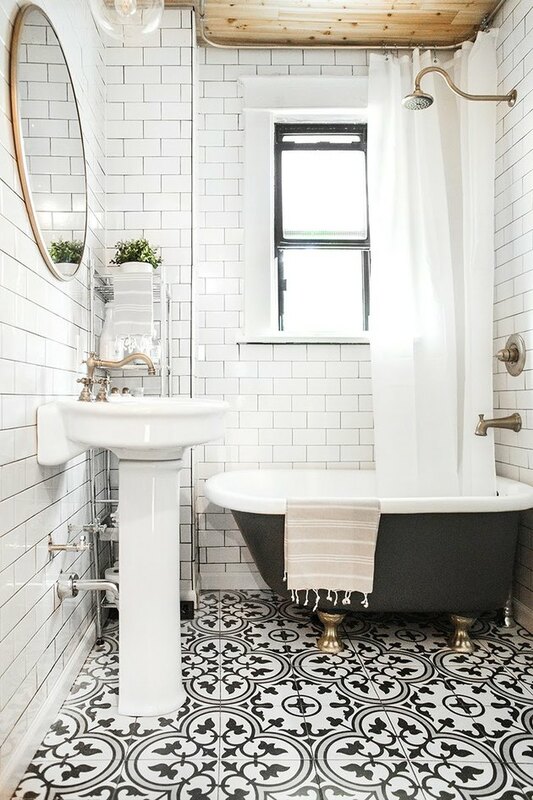 There's nothing wrong with going a little tile crazy. This bathroom has great texture without feeling overwhelming.